My phone number is (518) 374-5078. 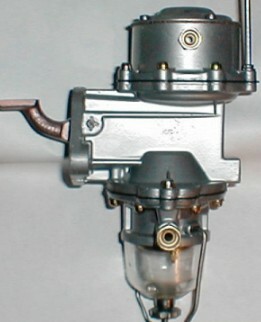 All fuel pump restorations come with a 2 year warranty. You may also call me at the number listed above. If you get an answering machine, it means I'm either on another line, or running equipment in my shop. Leave a message and I'll return your call. PRICES APPLY to AC, Blackstone, Carter, & Stewart-Warner mechanical, screw-together pumps. I DO NOT REBUILD factory-sealed (non-screw-together) or electric pumps.